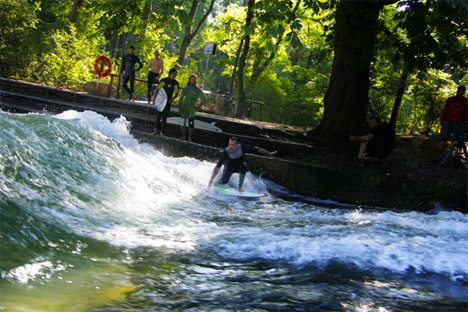 Until recently, anyone who wanted to surf the artificial waves in a river in Munich’s English Garden had to do so under cover of night, with one eye on the shore watching out for police. 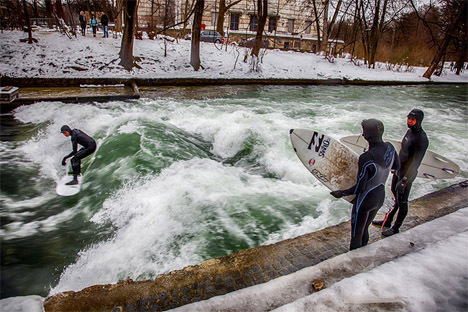 But in the summer of 2010, Eisbach Munich was officially opened to qualified surfers, who must be pre-approved by the city before attempting to stay afloat in the often-freezing waters. 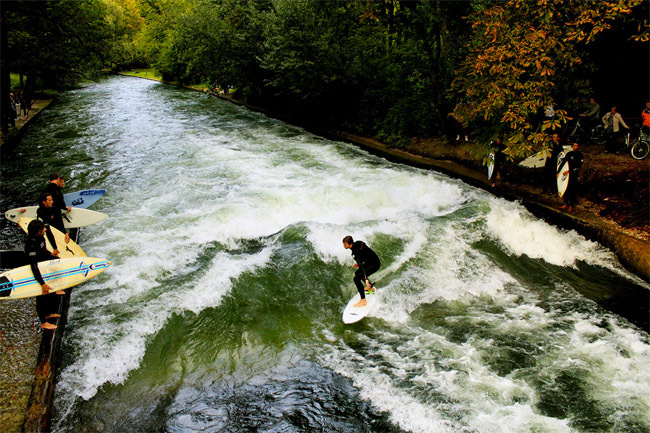 The need to test surfers’ abilities comes after an Australian student drowned while swimming in the river in 2007. 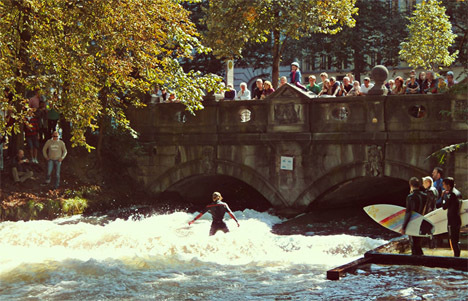 While swimming is still forbidden, Eisbach has since become the world’s largest urban surfing spot among the world’s largest urban park. The wave that permanently crests year-round was created by accident in 1972 after concrete blocks were submerged underwater to disrupt the current. It measures 12 feet across and can only accommodate one surfer at a time. Crowds gather to watch as the surfers attempt to stay on top of the wave, never getting the break that would come when a natural wave in the ocean crests upon the shore and retreats. 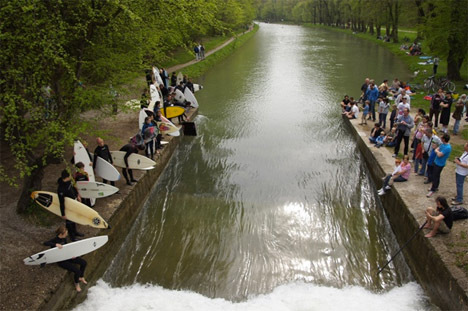 Urban surfing enthusiasts have created an online zine for the Eisbach community and other surfing events that take place in unusual settings, with lots of pictures.